To kick things off for E3 2018, EA held their third annual EA Play event and conference. Quite a bit of information was shown, and it was stressed that most games shown today would be playable at the EA Play gaming events. With that said, let’s dive right in. Straight away, the conference focused on the previously announced Battlefield V. This iteration of Battlefield is being touted as the most immersive in the series yet, with players able to leap and crash through windows and move artillery around the map at the player’s will and V will feature a more impactful destruction system than ever. Also, something that received an enormous pop from the crowd is that Battlefield V will feature no microtransactions, loot boxes, or premium pass; all future content for the title will be free. It is mentioned that Battlefield V will feature a Battle Royale mode. Battle Royale has been reimagined for Battlefield, complete with team play and vehicles. More about the mode will be announced later this year. Focus then shifted to Battlefield V’s War Stories mode, the single player element returning from Battlefield 1; moments of human heroism is the focus of these stories. An in-engine trailer was played, showing off everything talked about for multiplayer and War Stories. Before ending this part of the conference, it was announced that more from the War Stories, including the first look at Nordlys War Story, will be shown during Microsoft’s E3 briefing tomorrow. Next, we saw FIFA 19. A cinematic trailer was shown for the upcoming UA for Champions League, and right after, it was mentioned that Hans Zimmer and Vince Staples made the music for said trailer. More game-play will be shown this summer, but fans of the soccer series can expect the game to launch on September 28, 2018. As a bit of a surprise for those interested, it was announced that the entire game of FIFA 18 is available for a free trial starting right now, and a quick trailer showing off FIFA 18 was shown. Following, the CEO of EA, Andrew Wilson, took the stage, mentioning all kinds of FIFA 18 stats before welcoming us to EA Play, the third one they have done, and the second in Hollywood. Wilson moved on to speak about cloud gaming. EA is developing Origin Access Premier, a cloud-based game streaming subscription service for PC. Starting with Madden 19 (the first time in over a decade Madden will be on PC), all new EA games will be available on the service at launch, while Andrew specifically mentioned Battlefield V, FIFA 19, and Anthem as titles that will be coming to Origin Access Premier. Aside from new titles, the EA vault will be open as well. The subscription-based service isn’t quite ready for market, but it will be available to try this week with a free trial coming this weekend. Also definitely worth noting is that this service will be usable on many devices: smartphones, laptops, tablets, etc. Zampella announced the game Star Wars: Jedi Fallen Order; players will be able to play as a Jedi, lightsaber and all. The story is taking place between Revenge of the Sith and A New Hope, focusing on the dark times the Jedi were going through after Order 66. No more details or official release date were given; just a vague launch window of Holiday 2019. To keep the Star Wars excitement rolling, a team member from DICE took the stage to discuss Star Wars Battlefront II. 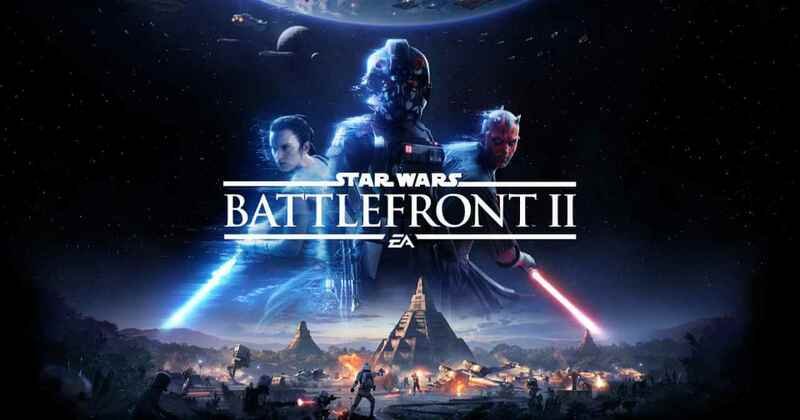 He acknowledges that DICE didn’t get it quite right with Battlefront II at launch, and says the studio listened to the fans. While they wanted to come out full steam ahead after launch, they needed to fix things for the player. He spoke quite a bit on the changes that were made — such as cosmetics and the re-tooled progression system — as well as touching a bit on the new modes that have been added, touting Ewok Hunt as the game’s most popular. Moving on, a new squad system was mentioned, one that will make teaming up with friends even more accessible. Along with this, a new Starfighter mode will be coming that uses only hero ships for dogfights. A brand new large-scale sandbox experience focused on command posts and capturing capital ships was briefly talked about, but it sounds fascinating. Perhaps the biggest and best news fans got out of this portion of the conference is that Clone Wars content will be coming to the game this year. General Grievous, Obi-Wan Kenobi, Count Dooku, and Anakin Skywalker were all announced as new playable heroes, as well as DICE’s largest ever map built for Battlefront II, Geonosis. Next up, we see a cinematic trailer focused on a boat in the ocean with a massive storm brewing; Yarny from Unravel was shown floating as the trailer came to a close. Unravel Two is announced, and the creator takes the stage to mention how the sequel is about fresh starts and second chances. 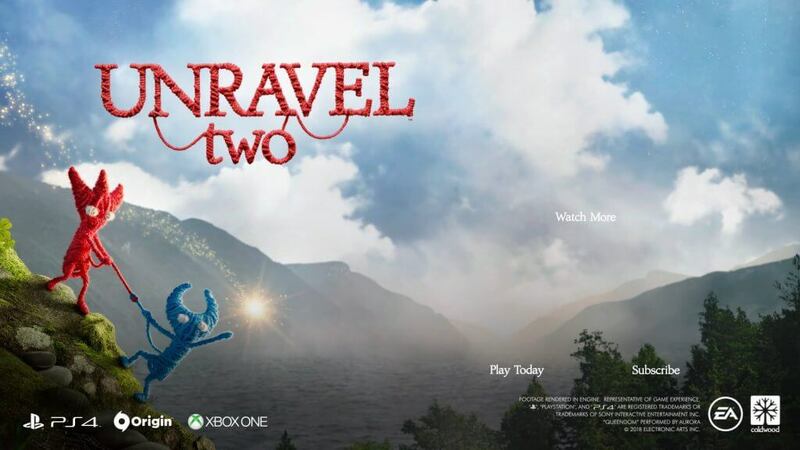 Unravel Two will be a co-op adventure, though it can be played solo; both characters will always be on screen in the game, regardless of whether you are playing solo or not. Looking very smooth, the gameplay seems just as charming and cute as the first Unravel. Andrew Wilson announced Unravel Two is available to gamers everywhere today. Andrew goes on to speak a bit more on indie games, mentioning A Way Out’s massive success, with over two million players within the title’s first week. Wilson goes on to talk about a studio from Berlin, called Jo-Mei. Cornelia Geppert from the studio comes on stage to speak about Jo-Mei’s new game, Sea of Solitude, (or S.O.S. as the studio refers to it). Cornelia appeals to our humanity, mentioning that it is a natural way of life that at some point, we all feel loneliness on different levels and of different types. At its core, S.O.S. is all about how people experience different kinds of isolation and how that affects outsiders in a lonely person’s life. The game looks beautiful with a cartoonish vibe to the graphics, while maintaining a sense of realism similar to Bioshock Infinite. 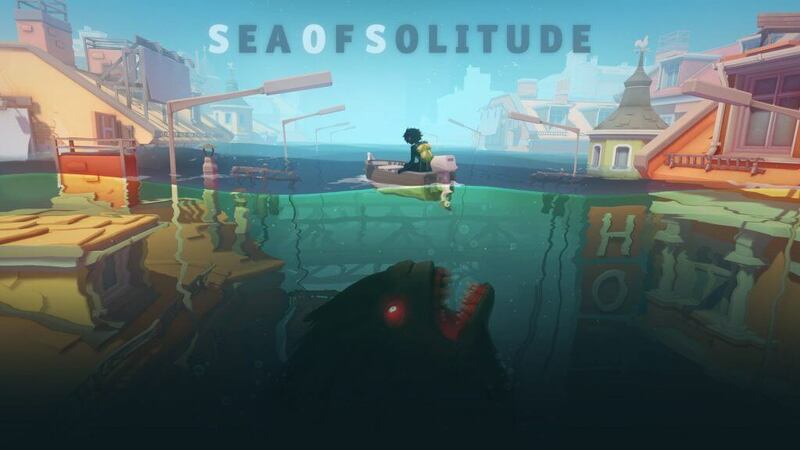 Sea of Solitude centers around a young woman named Kay who suffers from loneliness and has turned into a monster; the game will take us on a journey with Kay as she discovers why this happened to her and how she will become human again. We are given a launch window of early 2019. A quick trailer showcasing NBA Live 19 was shown. No details were given at all, aside from the release date of September 7, 2018, along with a website link to visit for more information. Madden takes center stage as a trailer based around Young Kiv, the current Madden 18 world champion, and his journey to the championship is shown. Following, an in-engine cinematic showcasing the first look at Madden 19’s MyTeam mode. Again, specifics were scarce, but more information was promised soon. Andrew Wilson returned to the stage to speak on EA’s Play to Give charity, where it was mentioned that 1 million dollars were donated to select charities, all through EA and the players of EA’s games. After discussing this briefly, Wilson said the show has one more thing to show the fans: Anthem. Anthem‘s portion of the show started with a cinematic trailer, giving a little bit of information on Anthem’s world and lore. After the trailer, general manager of BioWare, Casey Hudson, stepped on stage along with Mark Darrah, Anthem’s executive producer, and Cathy Rootsaert, the game’s lead writer, to answer some questions. Casey mentions how he started working on Anthem even before he initially left BioWare a few years back, and how he was excited to be back leading the team with its new intellectual property. From the beginning, Anthem was designed to be a living world that evolved and changed every time players came back to it. 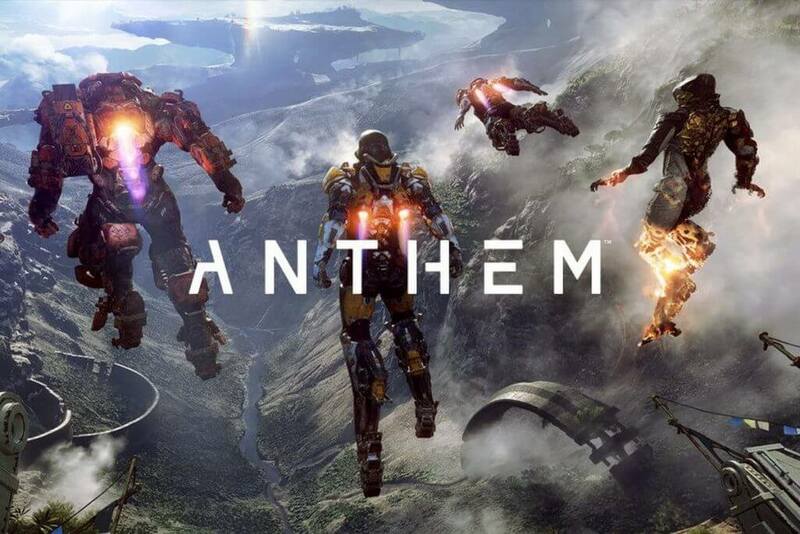 While Anthem is not a traditional multiplayer game, it is considered a living shared world; every player is experiencing the same things all at once, even the day to night cycle. Bases operate as hub worlds, where players will turn in quests, customize their Javelins (Anthem’s exosuits), and more. These bases will be where the story elements come into play most, as quests are given here, and NPCs can be spoken with. Anthem was also designed to be a game where its story can be changed and added to for many years to come. When Anthem launches, players will control characters known as “freelancers,” who are uniquely skilled in piloting the Javelin exosuits. Many different tidbits of lore surrounding the exosuits and the world of Anthem were discussed as ways that immerse the player and their experience with the game. Four different types of Javelins will be available in Anthem: Ranger, Colossus, Interceptor, and Storm. Customization was discussed, with gear and weapons available for your Javelins as well as personalization through colors and paint jobs. There will be vanity and customization pieces available for purchase with real-world money, but there will be no loot boxes; you will always know exactly what you are purchasing. There will be no items for sale that can unbalance game-play or give an unfair advantage. It was stated that Anthem can be played alone, but the game was designed with teaming up and having fun with other people in mind. Even though you can play solo, Anthem will be a bit more difficult with just one player. Casey Hudson announced that Anthem will be launching on February 22, 2019. That sums up EA’s EA Play E3 press conference for 2018. There are quite a few things to be excited about, regardless of how you play games. For more in-depth articles on what was shown at this conference, plus coverage of the rest of E3, keep your browsers on Geeks + Gamers.